Welcome to our class page. Please check back regularly to see what we have been learning in Year 6. Hazel class had a great morning doing active maths! We were using our skills and knowledge to find fractions and percentages and match deciamls to fractions. Some excellent teamwork with superb reasoning. Mrs Ruffy was impressed with how confident the class were doing the activities! When back in the classroom, and our heart rates returned to a somewhat more normal rate, we began to look at how to plot this information on a scatter graph. Both Mrs Ruffy and I were exceptionally impressed with some of the accuracy and presentation of our graphs. The children were able to extrapolate and infer from the data that those with a lower resting heart rate seemed to have a quicker race time. From this, we suggested that those with lower resting heart rates were probably fitter, however, the children were able to identify several areas in which we could both improve our investigation and our graphs. Our new topic this term is 'Blood Heart' so of course it seemed appropriate to try and make some of our own blood samples! The children became experts at knowing the different components of blood and were then able to identify these once our blood samples had settled. Take a look at the gallery below to see how we got on. Both Mrs Norris and Mrs Kelly were incredibly proud of Hazel class who indepedently chose what they wanted to share with thier parents in our class assembly at the end of the term. This really demonstrates thier secure knowledge and skills as well as showcase thier confidence. This week, Hazel class have been trying to improve on their Northern Lights art that they begin last week. They have been using a mix of watercolour and pastels and have been real team players by helping and supporting others in the class with useful suggestions for improvement. They are working towards a final piece that will be completed later in the week! In addition to putting pastels on paper, many children found their faces also covered - this has been photographed for evidence! Alfie was particularly 'blue' by the end and is excited for his moment of fame as his picture is in the gallery below. What do you think to our artwork so far? 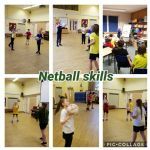 Year 6 have been working very hard with Mrs Kelly to practise skills needed for the perfect game of Netball. Our very own Holly and Megan have been fabulous coaches, lending their expertise to the class. Mrs Kelly has been blown away by their sportsmanship and patience as they teach important skills and tricks - well done girls! Last Wednesday 7th November, years 5 and 6 visited Lincoln Unversity to take part in a furturistic technology and science event linked to Star Wars! The children were very excited to try thier hand at virtual relaity, robot making, lightsabre battles, robotic coding and more. As part of Heckington 100, Hazel Class have been researching and creating different art forms and skills that show our respect and remembrance of all those involved in WWI. Below is the link to our full video documentary. In addition to this, Hazel Class have made some beautiful poems! These will be displayed in the church so please go along and have a read. 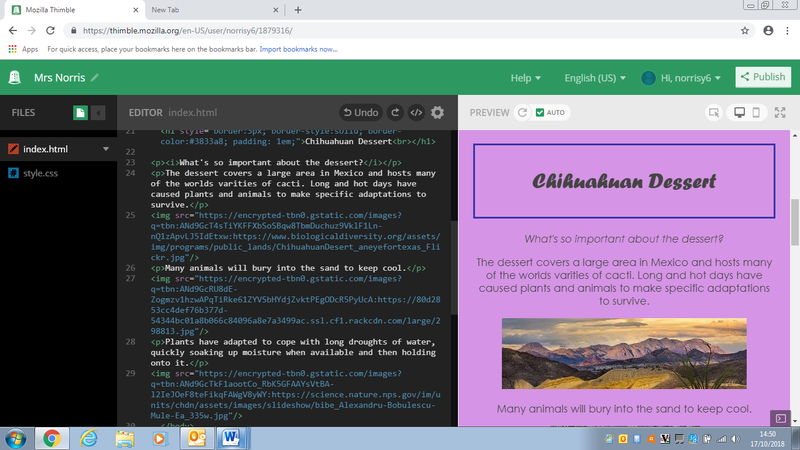 Creating websites using HTML tags! During our computing lessons this term, we have been studying and learning HTML tags. Now, we have been able to create Mexican websites using tags. Click on the links below to see our website pages! Year 6 have been researching and making Mexican food as part of their Mexico topic. The children first investigated what makes a healthy and balanced diet within Mexican culture. As part of our design and technology project, the children then looked for a dish that looked tasty and inspired them. In groups, the children brought their ingredients in and then made their Mexican treats for parents to be our taste testers. Were you brave enough to try the food? Hazel class have been learning about Mexican culture as part of our ‘Hola Mexico’ topic; the ‘Day of the Dead’ is in an important festival celebrated every year to honour and remember their loved ones. It is a joyous and happy celebration! The children have created information posters that will tell interesting information: the festival is to honour those who have died; during the celebrations, favourite food of their loved ones will be left out; candles are lit to welcome spirits back into the realm of the living; and music is often played - with some people wearing noisemakers on their costumes - to help wake up the dead and keep people feeling happy. To make our masks we first drafted our designs on paper. Once happy with the look, we mapped our patterns with pencil and then decorated with ink pens. It is much harder than it looks!